Epson's PowerLite Home Cinema 700, a portable WXGA LCD projector, has something for everyone. It has everything you need to make a fantastic presentation, like the ability to show slides from an SD Card or USB flash drive and instant power off for quick breakdown after the show is over. However, it is also an extremely capable home video projector, with a bright, colorful, high-contrast picture that is an excellent choice for HD sports broadcasts or video game use. This powerful crossover projector sells for less than $800, making it a great value at home or on the road. High brightness. At 2079 lumens (which you will note exceeds the specified 2,000 lumens), the Home Cinema 700 is bright enough to display any material you desire, provided you do not have light falling directly on the screen. On the road, 2000+ lumens is enough for an 80" diagonal image with high ambient light, or a 120" image with the room lights partially dimmed. At home, many people will opt for Theater mode, which decreases lumen output to 1243 but makes color appear more accurate. Others will want to use Eco-mode, which drops brightness by 21 %. Still others will want to use both at once, which resulted in a brightness level of 982 lumens on our test unit. For home video use, this is a great mode of operation - 982 lumens is more than most home theater projectors deliver, while low lamp mode maximizes lamp life. Good contrast. The one thing that sets the Home Cinema 700 apart from a typical presentation projector is contrast, which the Home Cinema 700 boosts by way of an automatic iris. This iris helps dark scenes appear darker, while bright scenes still use every bit of the projector's available lumens. While it is not on par with home theater projectors boasting 10,000:1 contrast and beyond - and was never intended to be - it can hold its own with film and video better than many other portable presentation products. Great color. 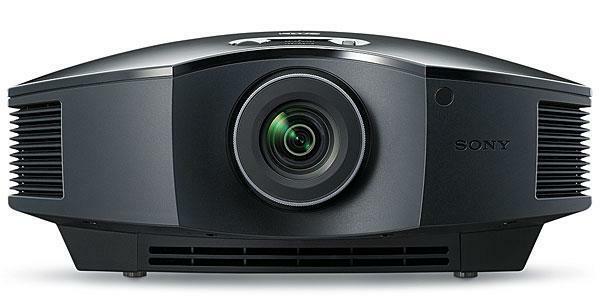 Epson has typically made projectors with good color, and the Home Cinema 700 is not an exception. Color is bright, vibrant, and accurate. It is even reasonably accurate in the projector's "Dynamic" mode, which is a high brightness mode that tends to seriously compromise color dynamics on most other models. In this mode, HD sports look great with the room lights on. In its best color modes, video games look well-saturated and film appears true-to-life. Good Connectivity. The Home Cinema 700, in addition to the expected VGA port, has an HDMI port for high definition video transmission. This also allows you to output sound through the projector's onboard 7W speaker without running any additional cables. The projector also has S-video and composite ports, as well as L/R RCA inputs for sound. Missing here is a 1/8" audio input, commonly used for laptops and other portable devices. Two USB ports (one type A, one type B) and an SD card reader round out the line-up. Presenters will appreciate the ability to project video over USB. If you have a Windows computer, you can use Epson's included software to project without using a bulky VGA cable -- simply connect both ends of a USB cable and start the software. If you are using a Mac or Linux system, though, you're out of luck. Photography and slideshow functionality. Presenters will love this one - the Epson Home Cinema 700 can be used to give a presentation without ever attaching a computer. All you have to do is load your slideshow in the form of .JPG images onto a USB drive or SD memory card and plug it into the back of the projector. The projector will read these storage media, including any directory structure you may have set up, and allow you to navigate and display the images on screen. Unfortunately, the projector cannot play back video clips from flash memory, which would have made this feature even more useful. Still, if you are a presenter on the road who wants to carry as little as possible, this is a great benefit. For home users, this functionality allows for easy photography shows - just take the card directly out of your camera and put it in the projector. Think of it as the 21st-century replacement for an old slide projector, without the hassle of loading and categorizing slides. Instant Off. Sometimes, after a presentation is given, you don't have a lot of time to pack up and clear out. However, simply unplugging a projector is detrimental to its future lamp life. Epson's Home Cinema 700 solves this problem with Instant Off, which takes the machine from full operation to full shutdown in under three seconds. Combined with the ability to project from flash media, the Home Cinema 700 is a great lightweight solution. Inexpensive lamp replacements. The Home Cinema 700 has a lamp life of 4,000 hours in Eco-mode, and lamp replacements cost $179 direct from Epson, which is about as inexpensive as projector lamps can get. This makes the "total cost of ownership" about the lowest we've ever seen, and the low upfront price of replacement lamps makes it easy for presenters to have a spare on hand, minimizing downtime. Can we assume the signal processing is relatively seemless and the grid/screen door unobtrusive?